To visit the Everglades, you need to travel to south Florida, right? Most travelers to the Orlando area probably think of the southern tip of the state and Everglades National Park when Florida’s famous swampland comes to mind. But, in fact, the headwaters of the Everglades start just south of Orlando with the Kissimmee Chain of Lakes and its surrounding bodies of water. Stretching more than 40 miles and spanning 21,000 acres, the Kissimmee Chain of Lakes is an amazing resource for paddlers of all kinds looking to explore this unique natural environment. 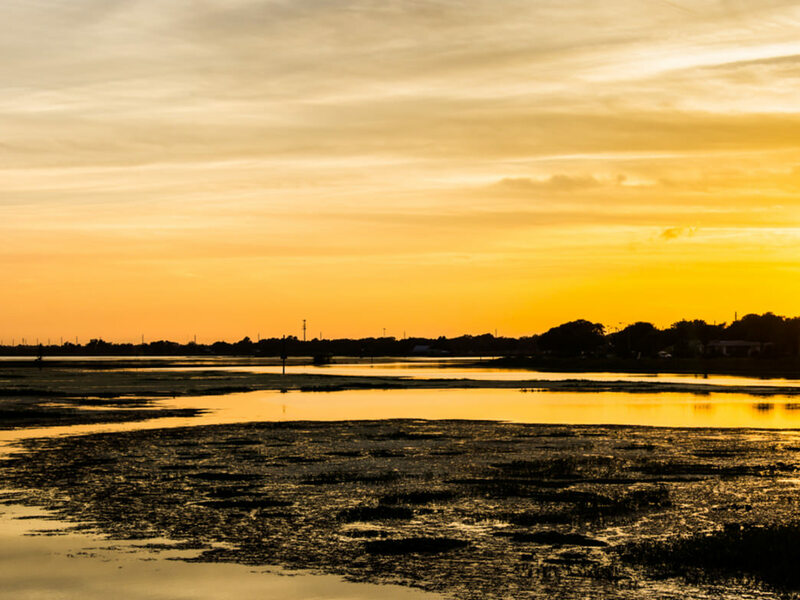 Whether you have a boat of your own or take advantage of a local outfitter to plan a trip, you’ll find a natural side of Florida to explore without having to travel far from your Orlando home base. 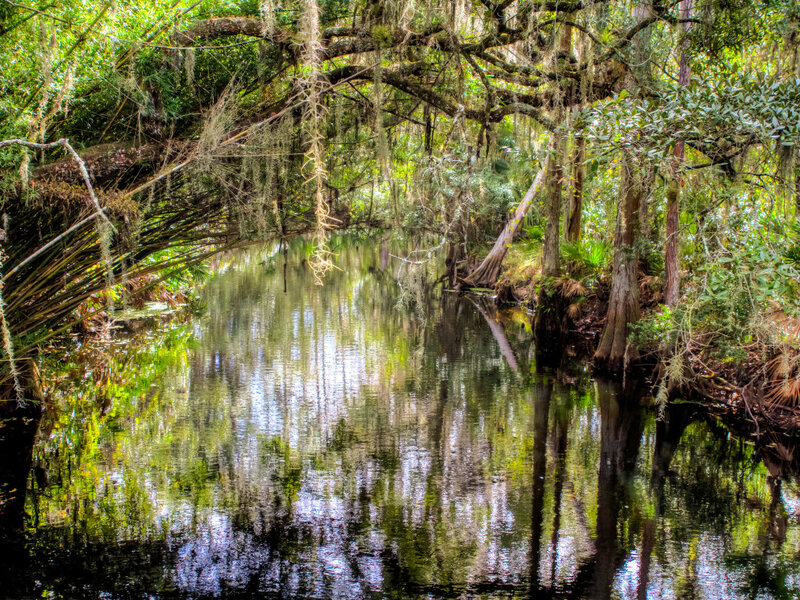 The Kissimmee Chain of Lakes is regarded as the headwaters of the Kissimmee-Okeechobee-Everglades system. It’s generally defined as starting with Lake Toho in the north and stretching to Lake Kissimmee in the south, although the region’s entire watershed contributes to the system. It consists of more than two-dozen lakes, countless small streams and the Kissimmee River. The interconnected waterways historically fluctuated with the seasons. But in an attempt to better control flooding in the 1960s, a series of canals and water barriers were created. These canals connect most of the larger lakes together—and make it possible to explore multiple lakes by boat. The marshes, shallow lakes, wet prairies, pine flatwoods, and canals all make for excellent paddling destinations. You’re quite likely to spot deer, turkey, wading birds, bald eagles, and sandhill cranes, among the wide variety of wildlife in the area. 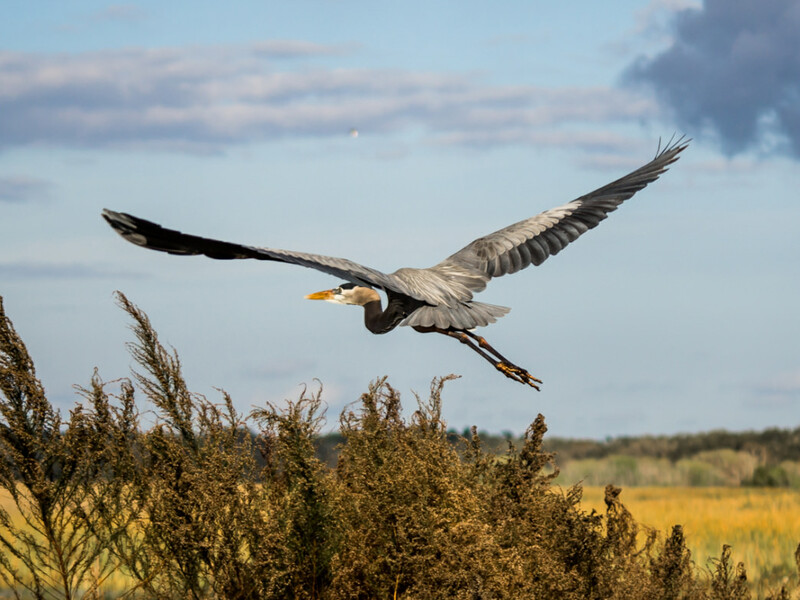 Several sites on the Great Florida Birding Trail are found in the region, and those who enjoy fishing have plenty of options, including largemouth bass, bluegill, and black crappie. The closest entry to Orlando is the Shingle Creek Regional Park, which is located in Kissimmee and just minutes from many of the regions major attractions. 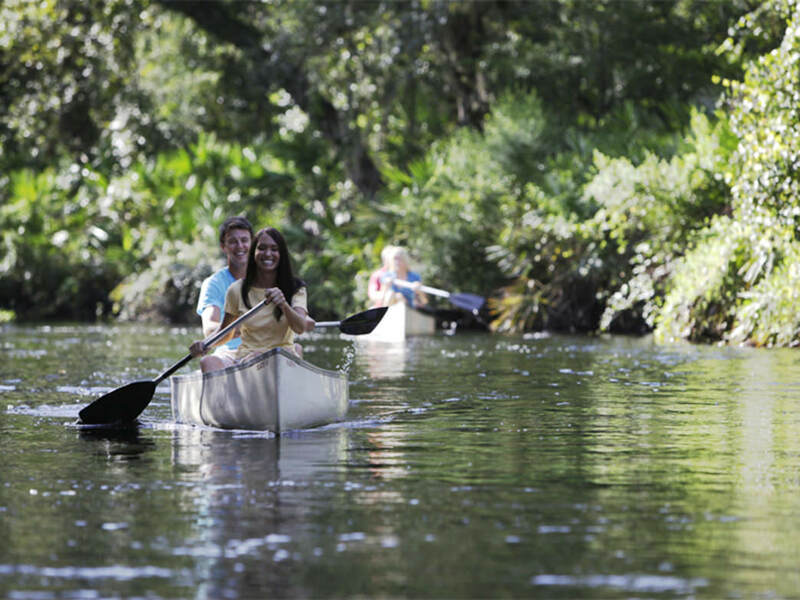 It’s also home to the Paddling Center at Shingle Creek, which rents single kayaks, tandem kayaks, canoes, and stand-up paddleboard to help you explore the natural beauty of the tannin-tinted creek on your own. The Paddling Center also offers several tours to get a better understanding of the area. The two-hour, out-and-back eco-tour offers an excellent overview of the creek, highlighting its history and ecology while looking out for wildlife. The three-hour adventure challenge takes paddlers 1.5 miles through cypress forest and runs with the current the entire way—a shuttle will take you back to the starting point. Finally the 1.5-hour stand-up paddleboard trip will offer instruction for novices as well as a guide to Shingle Creek. For an experience exploring a wider area, Lake Kissimmee State Park features the Buster Island Loop Paddling Trail, Florida’s 53rd designated as such. The 10-mile route offers a wide variety of wildlife along the way as you basically circle the island containing the state park. Paddlers can put-in at the cowboy camp bridge and take the Zipperer Canal to Lake Rosalie, the western border of the park. Follow the eastern shore line of the lake before heading east into Rosalie Creek, which will connect you to Tiger Lake. From there, take Tiger Creek to connect you to Lake Kissimmee and eventually back to your starting point. Boat rentals are available at the marina at the start of the route, and there’s a good chance you’ll see whitetail deer along the way. Fishing in this area is also excellent if you want to drop a line. For those who want to spend more time in the park, you can explore the 13 miles of nature trails featuring lots of moss-draped live oaks. Overnight camping is also available, and you’ll see a very impressive night sky. Adventures in Florida in Winter Park offers a guided tour of three of the lakes, starting from Dinky Dock Park off of Virginia Lake. Paddlers can expect a 2-3 hour tour that features three, garden-lined canals on a developed section of the lake. In fact, the company highlights that you’ll get to see plenty of opulent homes that border the lakes. Of course, you’ll also see blue herons and many other birds as you explore the large cypress trees, palm trees, and a wide variety of sub-tropical flowers on the route. On this tour paddlers will also enjoy a stop on a small private island to grab some snacks and cool off with a swim if necessary. Peace of Mind Kayak Tours also offers tours starting at Dinky Dock, as does Waves of Wellness, which offers stand-up paddleboard excursions for those who are interested in getting a different view from the water. And that’s just that start, as you’ll find plenty of boat launches where you can drop in and start exploring. The nice thing about paddling the Chain of Lakes is that there is so much variety—from the wide open spaces of the bigger lakes to cozy, tree-covered canals and shallow “rivers of grass” that occupy big swaths of real estate. You’ll find endless routes and a view of the natural side of Florida that’s often easy to miss. On your next trip to Orlando, make a point to hit the water and see the area from a different point of view.